Ratna MA Navaratnam, well known educationist and scholar, was born in a pious family noted for Hindu culture, in Jaffna, Ceylon. She was educated in Presidency College, Madras, the Annamali University and the institute of Education, London. She has had a brilliant academic record, obtaining First Class in the English Honours, Degree, M. Litt, Philosophy and M.A. Education, London with distinctions and Gold Medals. She was a delegated at Geneva Conference for International Understanding in 1951, and continues to be an active member in many cultural and women's organization, a past President of the Royal Asiatic Society, President of the national Education Society and on the Editorial Board of the Tamil Culture, Madras. For over ten years, she was head of Ramanathan College, a premier Hindu Institution in Ceylon and joined the Educational Service in 1944. She has written several books for children, book on poetry and appreciation of Indian Classics and her popular book on New Frontiers in East-West Philosophies of Education has been acclaimed as a bridge builder between East and West in Educational Thought and practice. She has traveled widely in India, Western Europe and the United Kingdom. Her inherited spiritual associations, her personal contacts with great religious mystics, thinkers and writers of East and West and coming under the potential influences of the great Guru, Maha Yogar Swamigal of Columbuturai, enabled her to pursue relentlessly the search into the mystic fountains of the Saiva Siddhanta seers. In this task, she was guided by well known philosopher and scholar like Prof. K. Subramaniam Pillai, Prof. K. Swaminathan, Prof. T.P. Meenakshi Sundaram. Ratna MA Navaratnam passed away in 1993 at the age of 82. 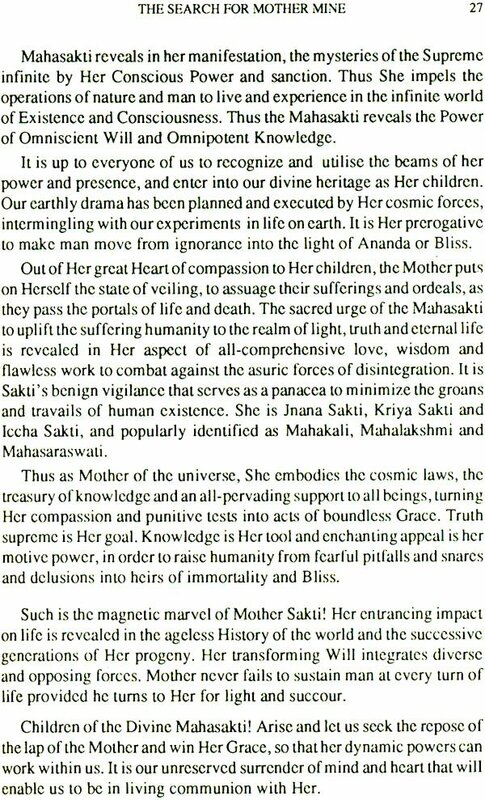 This book on Mother Sakti aspires to release an in-depth under- standing of the modem man's spiritual awakening, revolutionising the nuclear world of today. In the quantum leap in human evolution, the sad music of humanity can only be stilled by making each one of us turn within, and begin an inner search to know one's own self, and only thereafter to unravel the secrets of the macrocosm, as they affect the nucleus of each one's consciousness. It is only then that man can discover his role in the fast evolving universe, and develop insights to participate actively in the cosmic drama taking place in and around him. Maha Sakti, symbolically represented as Mother, embodies both nuclear energy and that consciousness in man. Hence a penetrating insight seems necessary to expand our awareness of the impending crisis, and resolve it in an effective way, by transforming the subtle and invisible aspects of nuclear energy to reflect and correlate the spiritual super-powers of Maha Sakti. A nuclear explosion in some part of our world can only be a reflection of what has occurred in the human mind, at a particular point of time, in a certain part of the world. It is our submission that "Mother Mine" can so transform the human mind and soul divine, to conform in harmony with the essence of life, and thus decipher the ultimate Truth inwardly and outwardly, that shall make man forever free from the rigor mortis of matter, overpowering his consciousness. The Vedagamas have testified to the essential unity of the macrocosm and the microcosm. Chit Sakti activates the human consciousness to interact with the material manifestation of Mother Earth. "As around me, so within me" is a metaphysical truth, based on the unity of consciousness and matter. 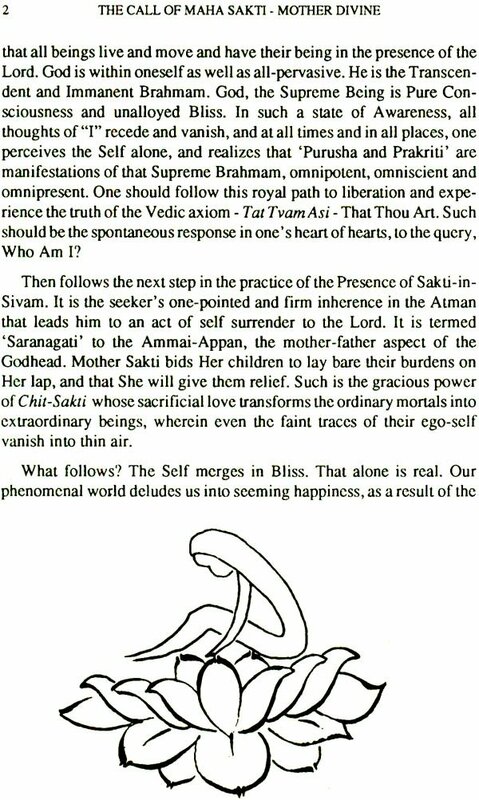 Human Awareness and matter are only dual aspects of the divine Maha Sakti, who as the focal energizing Mother projects the transcendent spiritual Reality of 'Tal Tvam Asi' - Thou Art That. 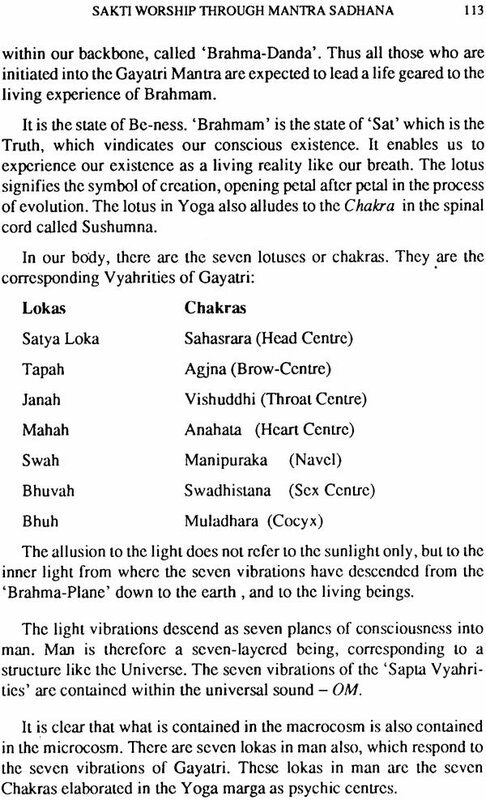 Subjective experience reflects the objective perspective 'of Maha Sakti. 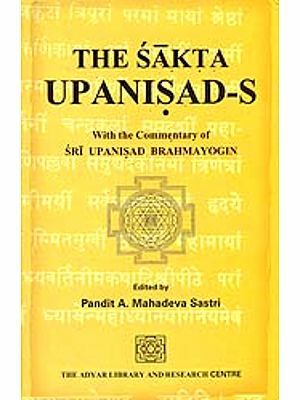 We have surveyed the concept of Maha Sakti both from the outside as well as from the inside, and correlated dynamic spiritual values as attested in our Hindu Puranas, Tirumurais and Tantras, and continued in unbroken observance and valid worship from the Indus Valley Civilization, some five thousand years B.C., right up to modem times. 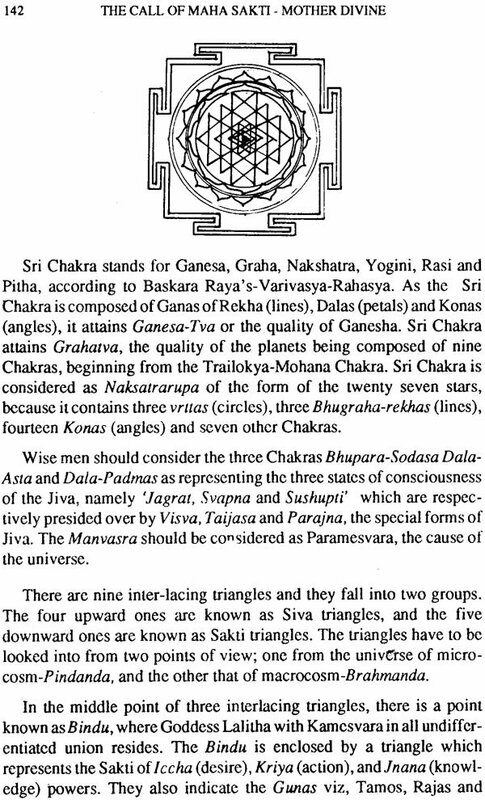 Maha Sakti works in myriad ways. The transformation of matter into energy, though intuitively perceived by the Sapta Rishis of India and utilised by them, has escaped the physical plane by its very nature, and awaited a scientist of the calibre of Einstein to formulate his famous equation, and make known to the West, the dynamic universe with its nuclear radiation and electro-magnetic radiation. However, many forms of electromagnetic radiation exist, which are beyond our ken of perception. Sight. hearing, touch, smell and taste which form our five sensations, give us only a partial experience of the universe. There is also the sixth sense called the E.S.P., which can know or experience something without external data. It helps man to understand the universe and also our perception of our own inner universe in a subjective way, with a remarkable degree of consistency. 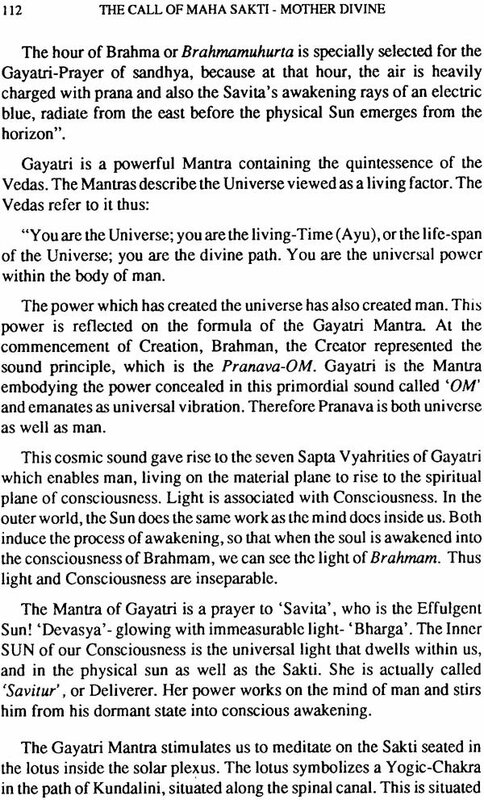 It was used with positive results by our Seers from the Vedic period onwards, to interpret with insight. 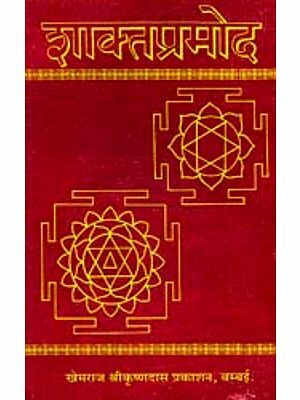 the symbols and the mystic formulas and the Chakras dealt with, in the expositions in Devi Bhagavatam and Devi Maahaaunyam. they are expressions of fundamental and unifying spirit of Maha Sakti, who reveals a central core of meaning, and unrelated by the law of cause and effect. Maha Sakti gives us a new experience, a holistic perspective of Reality. As you read into the dynamic reality of Mother Sakti, you will not only be attracted to Her, by the logical rational approach, but also appreciate and utilize Her intuitive and aesthetic aspects. Sakti shall impel you to embrace Her rather than view Her from an analytic angle. We shall look upon 'Mother Mine' with a balanced and subjective view, and experience Her Sakti in its entirety. 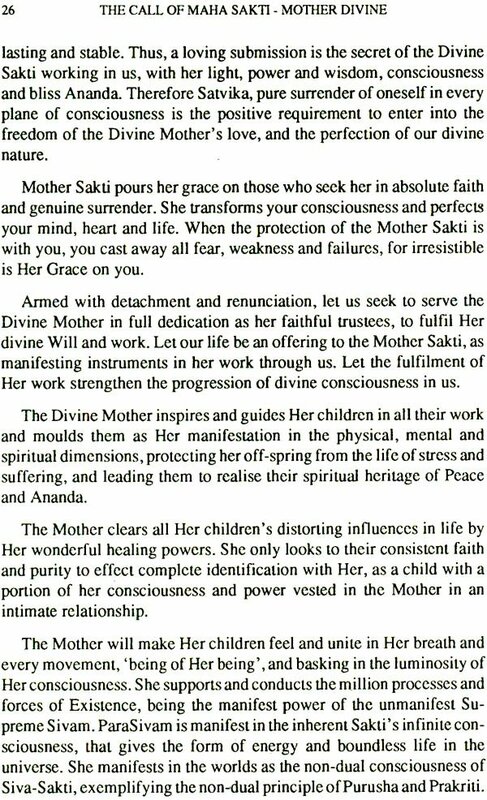 The chapters that follow unfold the holistic appeal of Mother Sakti, as a luminous symbol of the divine' Savitur' , who needs to be wooed, in order that she bequeaths Her Grace to Her children, by their surrender, sacrifice and service. "Images, symbols and myths are not irresponsible creations of the psyche. They respond to a need and fulfil a function, that of bringing to light the most hidden modalities of being", states Mircea Eliade in "Images and Symbols". Just as a powerful transformation of matter into energy is the goal of nuclear detonation, and internal transformation of the human being is the goal of spiritual practices, which are designed to refine and expand human consciousness. This enlightening insight, characteristic of the transformation of the mental state, brings the mind closer to a state of purity. The state of pure light is pure mind and pure consciousness. Consciousness or awareness is the 'inside' of the universe, just as energy is the inside of the atom. In addition to the enlightenment associated with spiritual growth, another characteristic of the spiritual development is the release of energy. This energy is the healing power behind psychic and spiritual healing. It is the energy that comes from directly experiencing Truth. That Maha Sakti regulates the power of positive thought and action, is echoed in the Vedic prayer of the heart: "Lead me from the unreal to the Real, and from darkners to Light." We have come on an interesting journey together. 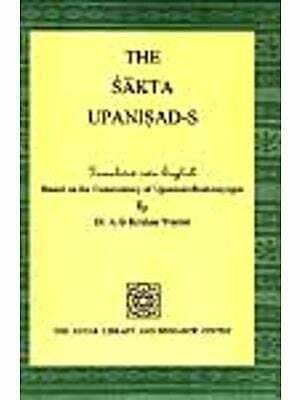 We shall view Mother Sakti from various angles, as the Vedagamas and the Sapta Rishis have testified, that the dynamic power of Sakti has a direct, symbolic correlation with. the process of spiritual growth, and the transformation of the human psyche. 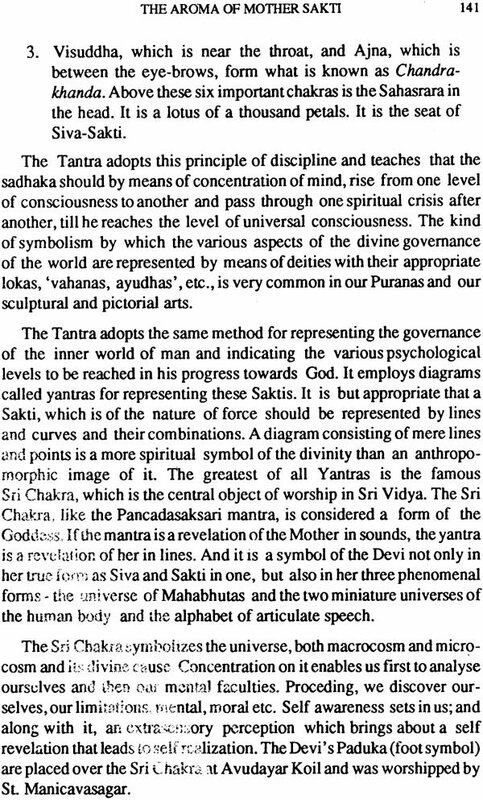 We shall witness a vision of Maha Sakti with Her incredible spiritual energy, arising from deep within the human consciousness as well as in the macrocosm. Such an evolutionary leap in human awareness will certainly revolutionize human values and social systems, and hopefully mitigate human suffering. 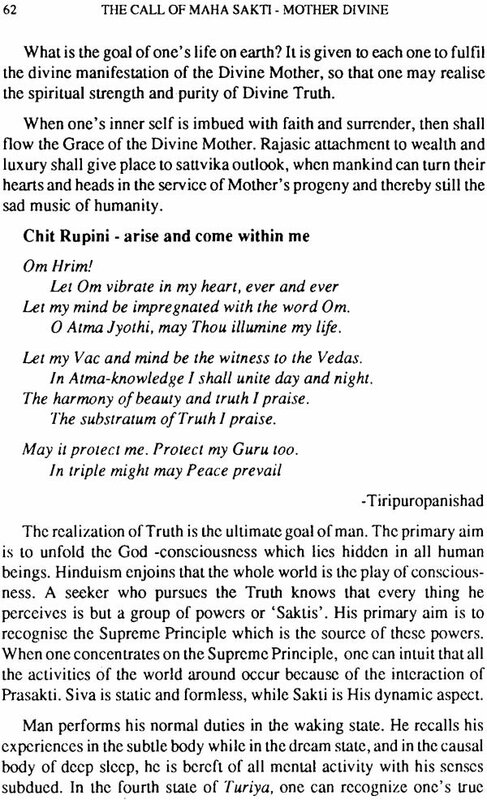 May Mother Sakti give the readers a penetrating insight, an awakening and a realization of Sat-Chit-Anandam. 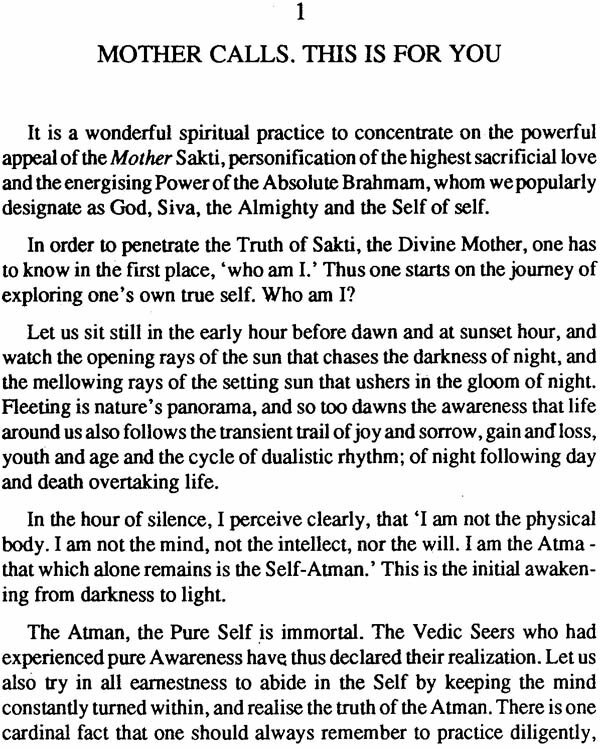 Divine Mother Sakti, Thou Art Jyothi Aham - The Luminous Self. Purify our mind, vak, body and deeds. "Mano Yak Kaya Karmanime Sudhyantam Jyothi Aham Viraja Vipapma Bhujasam Svaha:"
We have heard and read of your glorious splendour down the ages. We have touched the fringe of your mythic grab; we have witnessed the magnificent rituals and pujas done in your great Temples at Benares, Sri nagar, Dakshineswar, Thillai, Kanchi, Madura and Cape Comorin. We have relished the symphony of your cosmic Leela, and overflowing Grace so sublime and luminous, as revealed in Devi Maahaatmyam, magnifying Your deeds of valour in vanquishing the asuric forces, and uplifting the downtrodden and the oppressed. Deign Thy glance on Thy famished children who seek Thy' Anugraha and Anubhuthi'. In meek surrender, we lisp our incantation of yearning adoration to our Mother of millions, Maha Siva-Sakti. Namasthasyai Namasthasyai Namasthasyai Namo Namaha:"